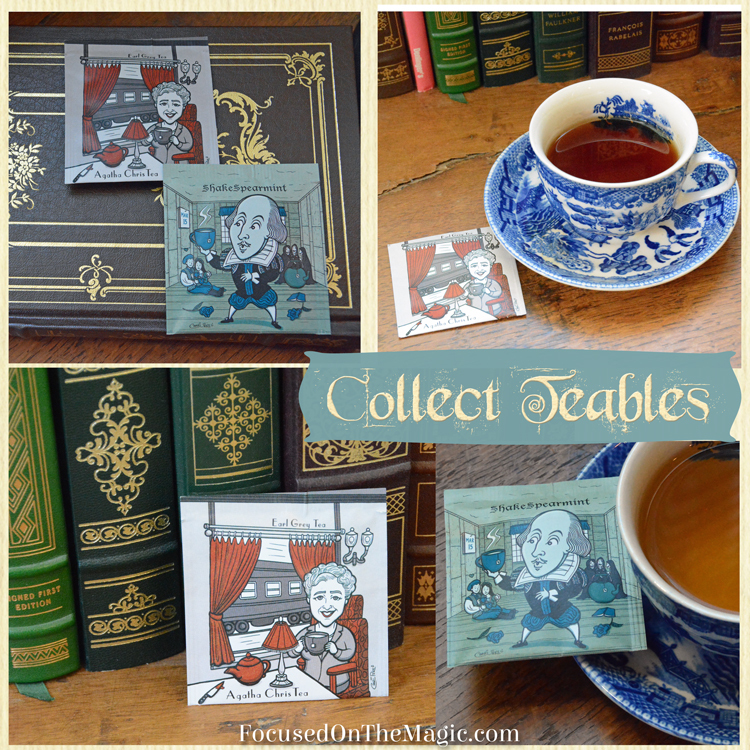 I was so excited to receive two limited editions of tea from Collect Teables. No further compensation was received. This post is written by me and may also contain affiliate links. All opinions are 100% mine. For me, unwinding with a cup of tea (or coffee) is so relaxing and a perfect way to kick back and take a break from reality. Oh, and having a good book to read makes tea time even better. 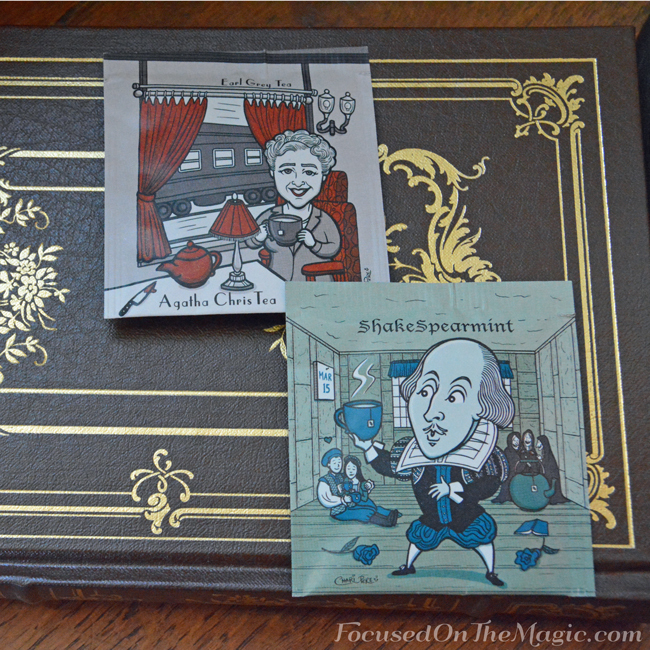 I received the very cleverly named and beautifully illustrated Agatha Chris Tea and the ShakeSpearmint teas from the Author Series Collection for my tasting pleasure and review. Normally I am not a big mint tea fan but the ShakeSpearmint was delicious and refreshing. It has a lovely mello minty flavor and as you can see it is a light tea. The fragrance is there but not overpowering. Too bad this picture isn't a scratch and sniff. You would love the scent of spearmint. ShakeSpearmint is made of Organic spearmint. Both Collect Teables teas are Certified Organic by OTCO, and Certified Kosher by KSA. 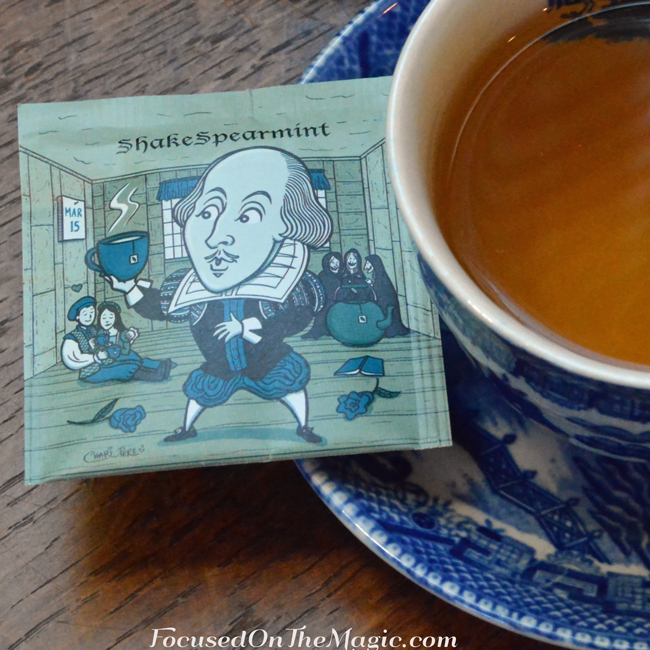 I found ShakeSpearmint was a perfect pick me up that got me going for the rest of the afternoon. I even put one in my purse as a sachet and a tasty pick me up. The second tea I tried was the Agatha Chris Tea which is an Earl Grey Tea made of Organic black tea and natural oil of bergamot. 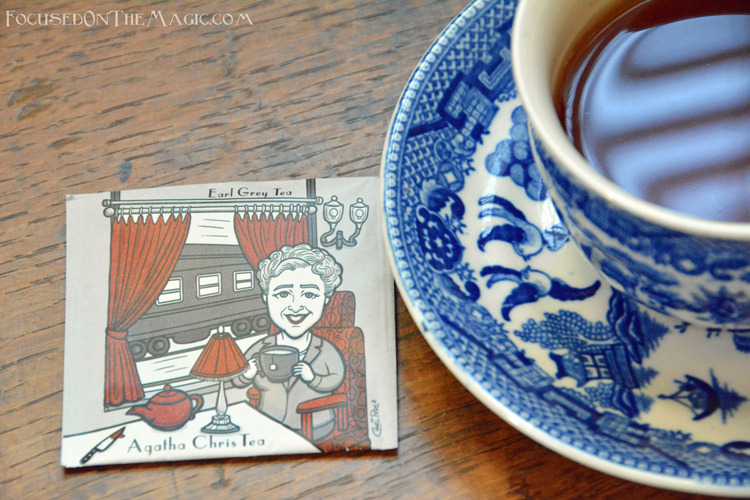 I really enjoyed having the Agatha Chris Tea (I just love saying that,lol) because I like a strong deeply brewed tea. Earl Grey teas are more vibrant and for me, make great breakfast teas. I usually add cream to my teas but I wanted to taste it without and it was wonderful. In all, both teas that I received were delicious. So much so that I will add them to my travel collection. I like to travel with my own teabags. On a plane I will ask for a cup of hot water, pop a tea bag in and sit back and relax. Each one of the Collect Teables has a beautifully illustrated cover making them unique and collectible and frankly hard to through away. So why not collect them in The Teabook? It's a binder system that can hold 144 of your favorite teas as keepsakes or storage. This is such a brilliant idea from the kick starter company, It would be so handy to flip through to choose your teas rather than rifle through tea canisters and cabinets. I wasn't sent one but I will be purchasing one soon. Collect Teables would make a great writer's or teacher's gift! Get yours before they run out. You can buy The TeaBook now on Kickstarter by clicking (affiliate link) here.